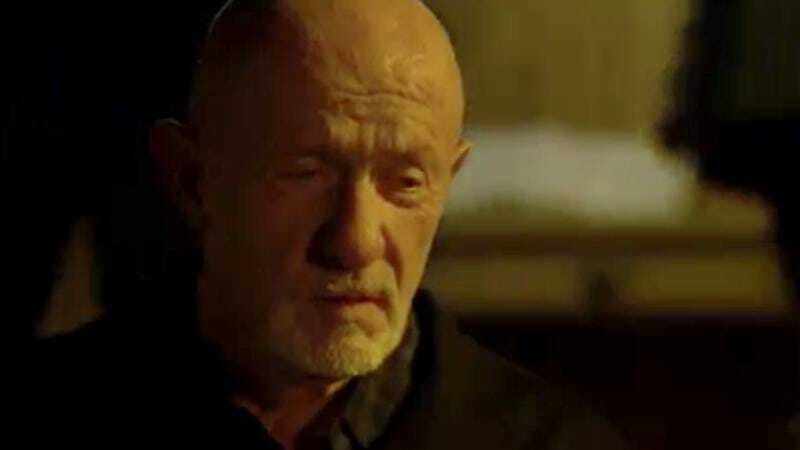 Whether or not he intended it, Mike (Jonathan Banks) has found a new life in Albuquerque on Better Call Saul. There’s his growing partnership with Gus Fring (Giancarlo Esposito), as well as his reestablished relationship with his widowed daughter-in-law Stacey and his granddaughter Kaylee. Now that he’s no longer so hung up on revenge, he’s practically a pillar of the community. In this clip, which is premiering exclusively on The A.V. Club, he even agrees to get his hands dirty. But this time, it’s for a good cause. Though initially hesitant about letting her father-in-law into their lives, Stacey (Kerry Condon) now urges him to attend school meetings, where she’s just signed him up to help renovate the playground. At first, Mike balks at the idea, but the memory of a swing set he set up for his son Matt brings him around. Stacey’s words are a bittersweet reminder that Mike was once his son’s idol, so he agrees to pitch in on construction. Better Call Saul airs tonight at 10 p.m. ET on AMC.